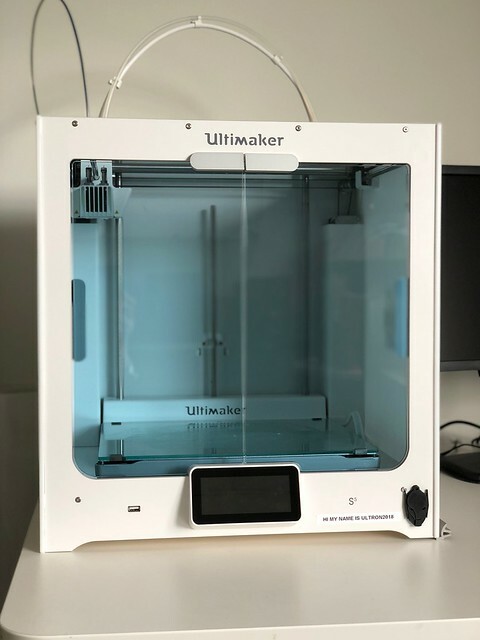 At long last our brand new Ultimaker S5 printer has arrived — we’ve been having lots of fun testing it out. Thanks to Australian suppliers Imaginables for getting it to us so soon after release, though we had to reach deep into our research grant savings jar to pay for it. Gordon had the pleasure of unboxing and he could not resist making a big deal of it — check out our Instagram Story! The good news is that the build volume is HUGE and we look forward to giving it a whirl. The dual extruder mechanism has been rock solid for the first few prints and having soluble PVA supports is just heavenly. One tip — do a firmware update out of the box. 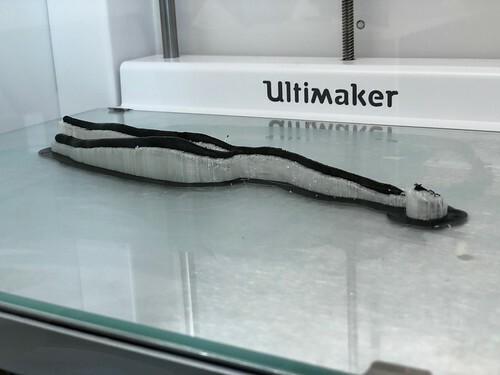 We had problems syncing and connecting to Cura Connect until that was done. Out of the box and ready to roll. 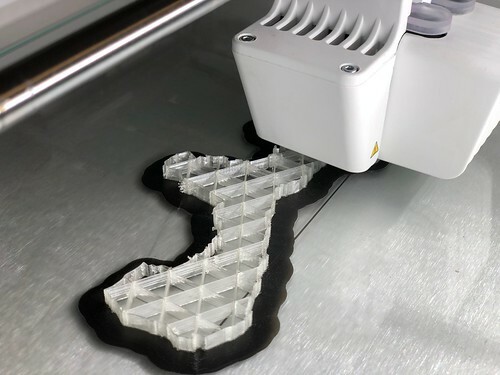 Printing one of A/Prof Tracie Barber’s AVF models. Soluble PVA supports — Yay! 3D Printed Ossicles — Enough to make @DrEricLevi salivate.